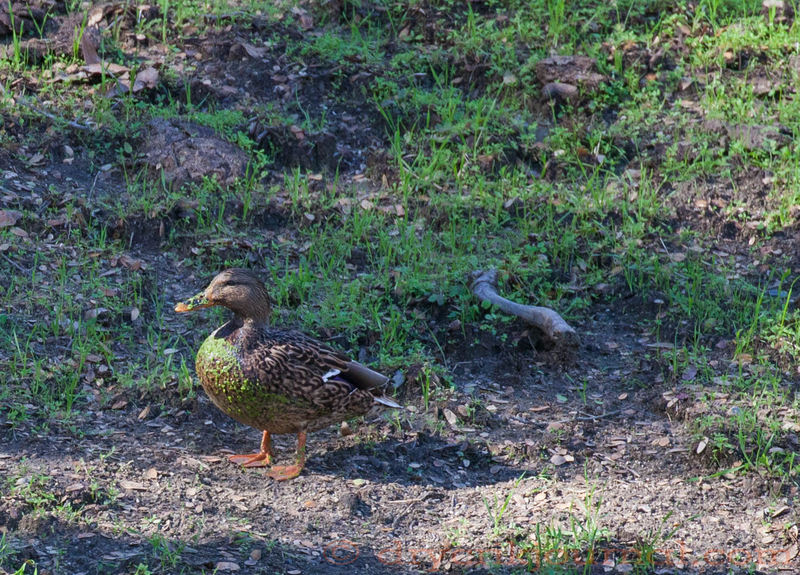 Last Sunday, Robbin and I interrupted a Mallard hen and drake feeding on one of our stockwater ponds completely covered with duckweed. On her way out of the pond, the hen seems to be looking for direction from the drake, whether to stay or fly. No bibs in the wild. 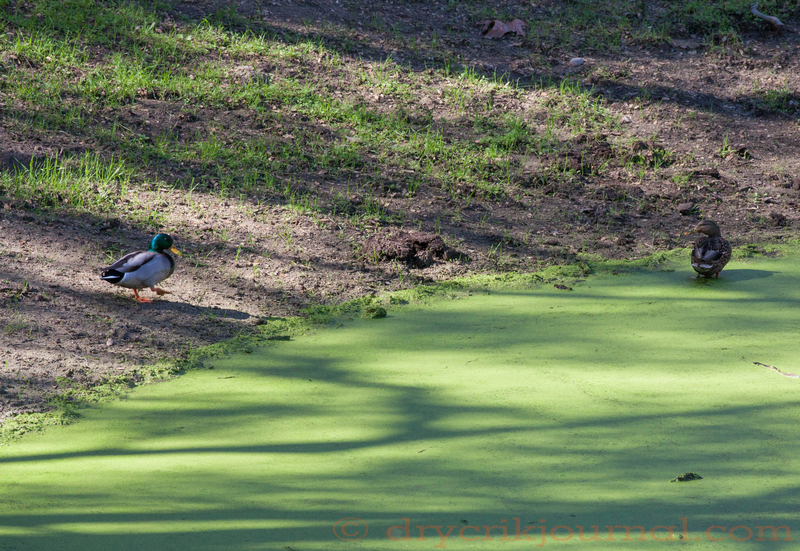 Some interesting facts about Duckweed. This entry was posted in Photographs, Ranch Journal. Bookmark the permalink. My aunt’s pond had duckweed. I love the color!